Vintage 1960s Graffiti by Roberto Capucci Micro Mini Perfume Miniature Parfum Splash Bottle. It stands 1-3/8" tall and is full to the level shown, with no indication of volume. Golden yellow label with black lettering and flared black cap. The label has wear and water damage. This is a splash bottle. Bottle has no chips or cracks. The perfume is old and no longer fresh. The top notes have turned and this is better suited as a collectible mini perfume instead of being used for wear. Graffiti by Roberto Capucci was launched in 1963. 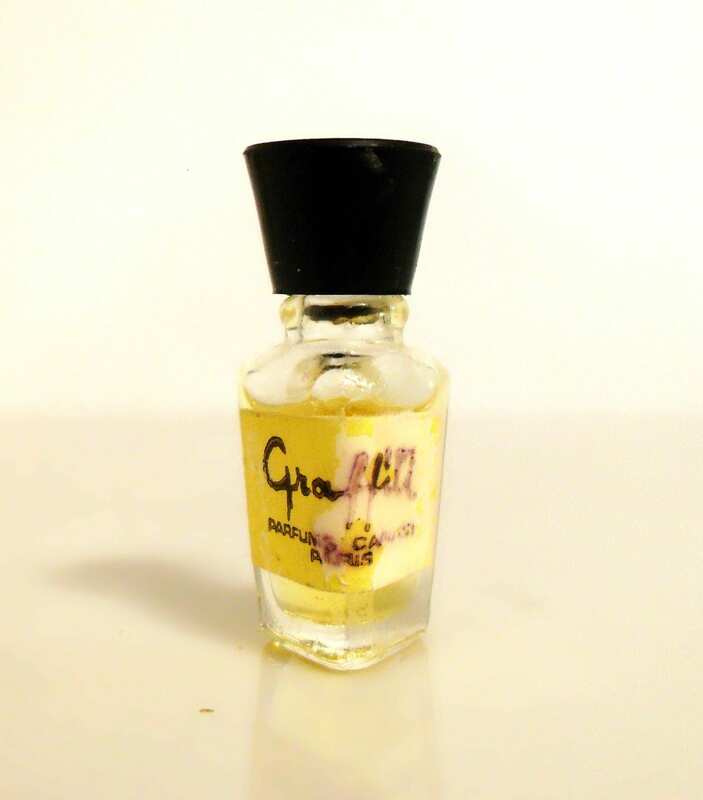 It is classified as a chypre fragrance for women. Graffiti has been discontinued for many years ad can be hard to find.